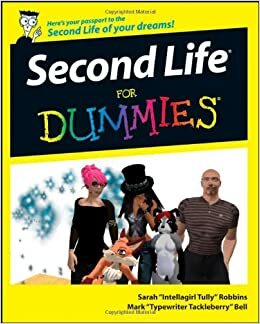 Here is Second Life for dummies written by a bunch of dummies who play Second Life. Quote: Make friends, start a business and create amazing products - on your terms! If you're feeling overwhelmed by the online world that is Second Life, Second Life For Dummies is the book for you! Written by a pair of experts who know the program inside and out, this book offers the scoop on getting around and making friends as well as how to personalize your avatar or even open a Second Life business. Replying! I have no clue if I'm going about this right. lmao, going to check this out. should be funny.